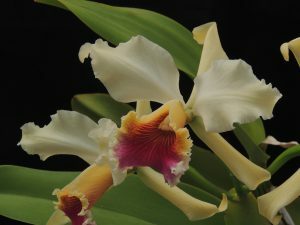 Cattleya rex (or the king of cattleyas) is new to 365 days and is native to Colombia and Peru where it grows in wet montane forest around 1350m. 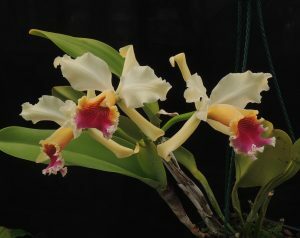 We find it does well grown with most of our larger cattleyas in Warm Americas (min 15) in good light in a basket. This year we have three flowers on the leading bulb which looks great though the flower count should increase as the plant grows larger and stronger which will give a fantastic display although the flowers are a little smaller than some of the related species we grow.